Depending on the size of your project, a project communication plan can be absolutely vital to the success of your delivery. After all it might be a "soft skill", but effective communication on a project, together with human interaction does mean the difference between success and failure. Now you might think, well what's the problem? I have a formally approved detailed project plan, a detailed project resource plan, a project initiation document or project charter and a project budget. All the key team leads and project stakeholders have seen and approved all of them which of course means everyone must know what is going on and when. As such, with all the bases covered, why on earth do I need to do yet another plan? Surely my time would be better spent actually getting on with deilvering the project? And if you are managing a project with a small number of resources, say 10 or less then this would make sense. But what if you're not? 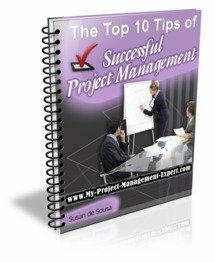 What if your project has say 100 resources, many of whom are not full-time on the project and are based in 20 different departments? What if you have external suppliers, or teams based in other countries? What then? As you might have guessed this relates to the way you communicate with your project team and other resources you may need to use. Essentially you would use this to provide direction to the team as well as articulating the decisions made from those in the Upwards Channel. Verbal exchanges or chit-chat. It all helps!